But who was the first Maltese photographer? 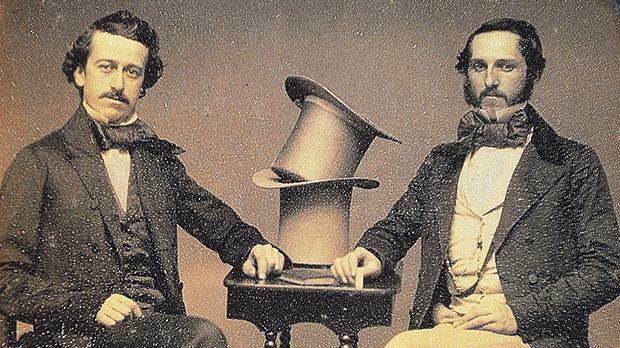 Daguerreotype portraits of the 1840s like the ones taken by Francesco Galea. I believe we all got it wrong. So far, everyone (that includes me) accepted as gospel truth the ‘fact’ that the first photographic studio set up in Malta by a Maltese was Leandro Preziosi’s, known to be active c. 1858. Preziosi remains one of the major pioneers – consistently competent, industrious and trail-blazing. But he had been preceded by another Maltese. Not by a few months, but by some 18 years. Louis Daguerre had perfected the scientific process of photography in France and made it public early in 1839. The inventor had not protected his discovery by patent rights, passing these on to the French State, against a life pension in his favour. From its first launch, photography spread rapidly throughout the world, Malta being one of the first beneficiaries. We know that the renowned painter Horace Vernet, an enthusiast for the new invention, visited Malta in March 1840. The steam ship Dante on which he travelled arrived from Syria on the 4th, and the passengers were routinely quarantined on Manoel Island. Frederic Goupil-Fesquet, another painter and ardent daguerreotypist, accompanied him. They carried all the equipment necessary to practice photography and used their confinement in the Lazzaretto to perfect their technique and to show off the new amazing process. The Portafoglio Maltese records that during their forced stay in the quarantine islet they invited the Governor, Sir Henry Bouverie, other artists and distinguished guests, including the French Consul, to witness a practical demonstration of the new art. 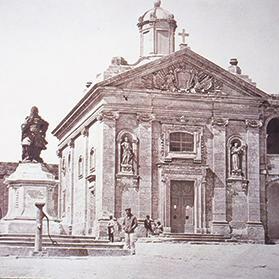 Vernet took the earliest known photos of Malta, two of the piazza d’armi of Manoel Island, including the monument of Grand Master Vilhena, later moved three times, and now in Floriana. Manoel Island by James Robertson. This is a later version of the first photograph taken in Malta by Vernet. Vernet explained in detail how photography works, giving one of the finished images to the Governor, and keeping the second one. The press reporter did not hide his amazement: “Such is the perfection of this instrument that the inscription on the pedestal of the statue of Grand Master Vilhena, which on the image is barely visible to the naked eye, becomes legible if seen through a magnifying glass”. Put yourself in the visitors’ shoes. Watching a perfect image form itself apparently on its own, on the blank surface of a flat piece of silvered metal, must have seemed a miracle to some, inscrutable magic to others. The paper added that during his stay at the Lazzaretto, Vernet was also working on an un­finished biblical painting he had brought over to Malta. After detailing Vernet’s biography and his career, the article ended on a personal note: “all those who have the pleasure to meet this artist, justly renowned for many reasons, are agreed in praising the sweetness of his character, the variety of his knowledge, the beauty of his spirit”. What a pity he was leaving Malta two days after the expiry of his quarantine! 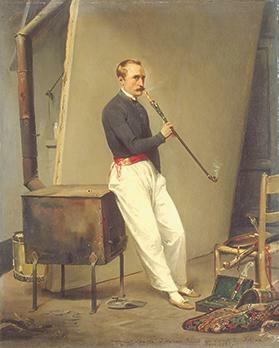 Self-portrait of Horace Vernet, the French artist who introduced photography in Malta in 1840. Other photos of Malta were taken by the Vernet group during public demonstrations. And that is where Francesco Galea must have got into the picture. The two French pioneer photographers and painters stayed in Malta over three weeks and left on March 29 on the French steamship La Rhamses, heading for Rome. The day after Vernet’s departure, the local press dedicated more space to these two artists. “Those who saw him leaving found him ex­tremely satisfied by the welcome he received from the authorities and prominent inhabitants. Officers from the various regiments continued showing Sig. Vernet the same courtesy of which Sir Henry Bouverie had set the example, and later invited him to their tables. The day before he left, he dined with the officers of the 59th Regiment, together with his travelling companions and the French Consul.” The journalist recorded the various toasts proposed. Vernet toasted “to the arts that unite all peoples in fraternity”. He stood out throughout the evening as a man of culture and wit. 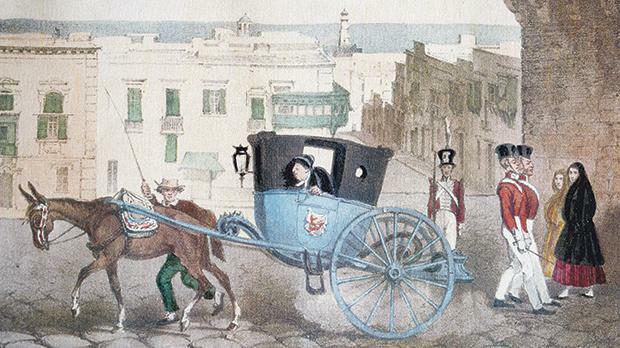 A watercolour of St George’s Square, Valletta, by Goupil Fesquet who photographed Malta with Horace Vernet. The paper concluded the feature by thanking Goupil-Fesquet for having given public demonstrations of the new photographic process to numerous members of society. He would be carrying back from Malta various images (vedute) of the island. Sadly, all the daguerreotypes produced by Vernet and Goupil-Fesquet in Malta seem to be lost. To make up for that, a charming, slightly satirical gouache by Goupil-Fesquet of a Maltese calesse in Palace Square, Valletta, survives. And the pioneers fired up Francesco Galea, a technically dexterous Maltese. The site, 40, St Mark Street, corner with Marsamuxxetto Road, Valletta, where Francesco Galea set up the very first photographic studio in Malta in 1840. By sheer coincidence, a supercilious British visitor who happened to be undergoing qua­rantine at the Lazzaretto at the same time as Vernet, published his memoirs in two volumes. Henry Edward Fane describes in deprecating detail the Lazzaretto building. “This part of the fortifications of Malta was built by a Don Manuel de Somebody, whose bad statue stands at the centre of the courtyard.” He records the arrival on Manoel island of “the cele­brated French painter Horace Vernet” sent to Egypt by the French monarch to take photos to use in his painting of the battle between the Turks and Mehmet Ali. Fane’s diary includes details of the visit to Vernet in the Lazzaretto by Governor Sir Henry Bouverie with a large party to witness first-hand the taking of the photos. The very first Maltese paper to have re­corded these events also has some outstanding news about the Maltese person who learnt what Vernet and Goupil-Fesquet were popularising. Galea took up the practice of photography in Malta when Vernet left. 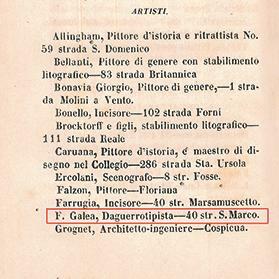 The list of Malta artists published by J. Quintana in 1844 which includes Francesco Galea as a daguerreotypist and gives the address of his studio. L’Amico della Patria, in its issue of March 15, 1840, when Vernet was still in Malta, announced the invention of photography and added that “Sig. Francesco Galea, to whom our native land owes the introduction of various branches of industry, particularly the art of working glass, that of making mirrors, and that of lithography, although not having been present during the publication of this discovery (photography), without having seen the apparatus necessary for this purpose, but simply from reading what the newspapers superficially say, has succeeded in putting into practice this discovery, obtaining sufficiently exact results. “Extending our sincere congratulations to Sig. Francesco Galea, we believe that he will not give up pursuing his experiments, to ensure that the new photographic art will be perfected in Malta by the ingenuity of the person who has introduced it”. An early Daguereotype camera like the ones used by Francesco Galea. X’dawl ta’ qamar jiddi/jien fiħ nara kruċ il-ħabba/oħorġu xbejbiet oħorġu/la inthom ward min tal-imħabba. (How bright the moon is shining, by it I can see the cross on the smallest coin. Come out, girls, come out, you are the flowering of love). Jien narak; tara mixħuta/għaxar Torok fejn riġlejk/jitolbu l-ħniena tiegħek/ħajthom jieħdu min idejk. (I see you; you will witness/10 Turks lying at your feet/begging for your mercy/their lives resting in your hands). Very precious is the evidence provided by J. Quintana in his early guide book of the Maltese islands. Around 1844 or 1845 he published a list of artists active in Malta and the address of their studios. Among the painters and engravers he mentions Galea, working as a daguerrotipista from No 40, Strada San Marco, Valletta – so we also know the exact place where the very first photographic studio opened to the public in Malta. Strada San Marco was then a busy thoroughfare that linked Marsamuscetto harbour to the centre of Valletta. 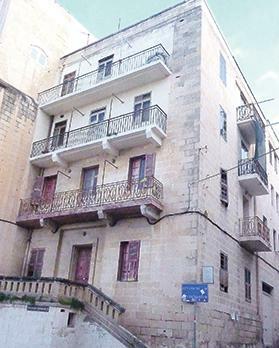 The building no 40 suffered extensive damage during the war and was rebuilt after the end of hostilities, and at some time belonged to Dom Mintoff’s family. The veteran inhabitants of the neighbourhood still remember the pre-war commercial outlet on the ground-floor which Galea had earlier used as his photographic studio. I tried to locate the police shop licence for no 40, but the licensing registers of the 1840s have gone missing. 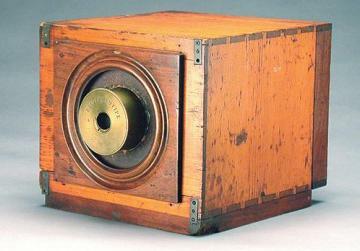 Galea must have obtained, if not built himself, one of the earlier Daguerre cameras. In 2010, one such camera sold at auction in Vienna for €732,000. Nicola Zammit, the practical intellectual, architect, philosopher and publicist, in 1864, also certifies Francesco Galea as the very first Maltese pioneer in photography, praising him in extravagant terms, describing his talents as genius. It is almost certain that he won the gold medal for photography in the 1864 Industrie di Malta exhibition, in which Leandro Preziosi came second. Unfortunately, no photographic works signed by Galea are so far known to have survived. Quite likely he would have concentrated on studio portraiture, more commercially viable than landscape imaging. 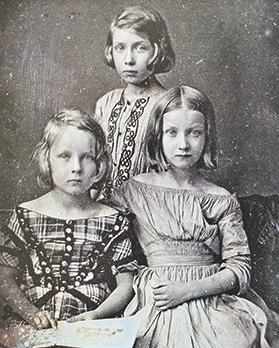 Daguerreotypes, unlike the almost contemporary British calotypes, come in only one specimen, as they do not derive from a negative from which any number of copies could be printed. There are some early unsigned portrait daguerreotypes in Malta, and anyone could be by Galea, but that is pure speculation. Several later Maltese professional photographers, including Preziosi, had started their careers as daguerreotypists, but in time they all shifted to the British alternative method invented by Henry Fox Talbot, which did not produce the finished image directly, but through a negative. May this be the launch of more intensive research on Galea. Thanks for the assistance of Leonard Callus, Maroma Camilleri, Edward DeGaetano, Manwel Mifsud, Olvin Vella and Theresa Vella.